This weekend we’ll be making our way up north for our first interstate market! 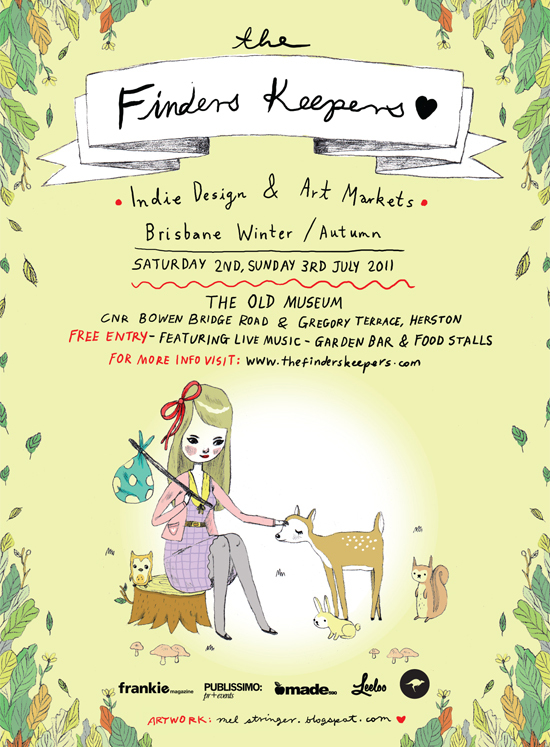 If you’re in Brisbane, come and say hi at the most fabulous Finders Keepers Market on Saturday 2 July and Sunday 3 July at The Old Museum at Herston. The market supports local independent creative design, with over 65 stalls, food and free live music performances. It’s a great day out and you can check out a review of a previous event (held in Melbourne) here. There is no parking available onsite. The RNA showgrounds is offering Finders Keepers patrons all day parking in their carpark for a flat rate of $10. The parking lot will be open from 9:30am – 6:30pm daily.